is generally granted to newspapers that publish at least twice each month and publish news of general public interest. Applicants must have published, regularly and consecutively, for at least six consecutive months prior to applying for membership. Additional criteria are described in the application. is appropriate for publications not otherwise eligible for regular membership. Additional criteria are described in the application. 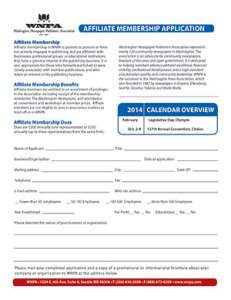 Click the image below to download the PDF. is available to persons or firms (businesses, professional groups or educational institutions) not actively engaged in publishing but having a genuine interest in the publishing business. It is also open to persons who formerly published or were closely associated with member publications and who retain an interest in the publishing business. 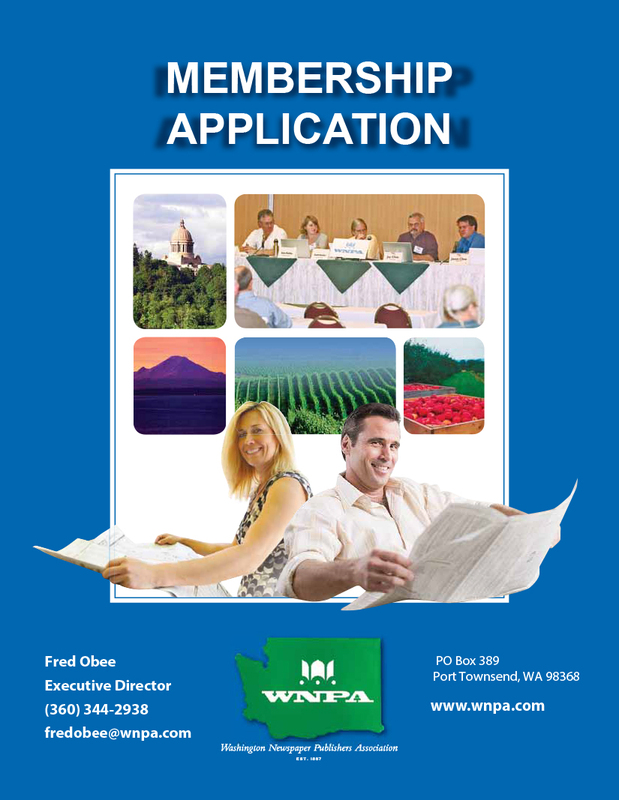 Download our application. 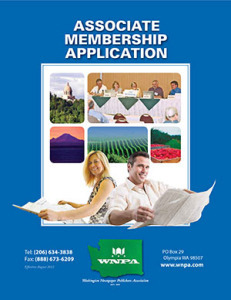 is awarded to active publishers whose newspapers have been a regular member of WNPA for at least 35 years. The Board of Trustees may also be award Life Membership to other individuals who the have given long and dedicated service to WNPA.